Style: This bourbon was carefully crafted to highlight the classic flavors of the highest quality bourbons - a true reflection of "America's Native Spirit". Taste: The high amount of corn gives this bourbon a classic sweet taste with notes of vanilla and caramel from the wood, and the rye adds some light spice avor. 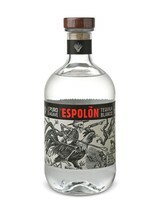 Bottled at 84 proof for a lighter experience, great on the rocks or in mixed drinks.